Get started by using our online services to incorporate or register your business in Canada! Eric P. Cohen, Barrister & Solicitor, a lawyer licensed to practice law in the Province of Ontario has over 15 years of experience providing timely, professional & cost-effective incorporation and business registration services in Canada. Our skilled staff is standing by to assist you. Use our affordable online Canadian incorporation packages for quick and easy incorporation anywhere in Canada. Protect your personal assets by incorporating your business today! We offer a variety of services for existing corporations, including operating name registrations, address changes, extra-provincial (foreign) registrations, registered agent services and more! 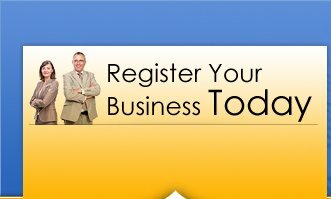 & reliable business name registration service! Provincial Name Reservation to search & reserve your proposed company name anywhere in Canada. Free preliminary searches included! New Business Now.com offers articles on many aspects of business formation. Access the information you need in order to make informed decisions about your new business. David Drummond - Compass Insurance Adjusters of Canada Inc.